Well friends … we weren’t dreaming when we heard rumors of Amazon’s Kindle Unlimited . The full site launched today offering a 30-day free trial and access to more than 600,000 books and thousands of audiobooks on any device (from Android tablets and smartphones to iPhone and iPads). Amazon Kindle Unlimited launched today. 600,000 titles, including some popular series like Hunger Games, Lord of the Rings, Harry Potter and Diary of a Wimpy Kid. Only available to US customers for now. We’ll start using it this week and write a full review soon. Immediately we don’t see too many differences from Oyster – one of Books for Her’s favorite books services. 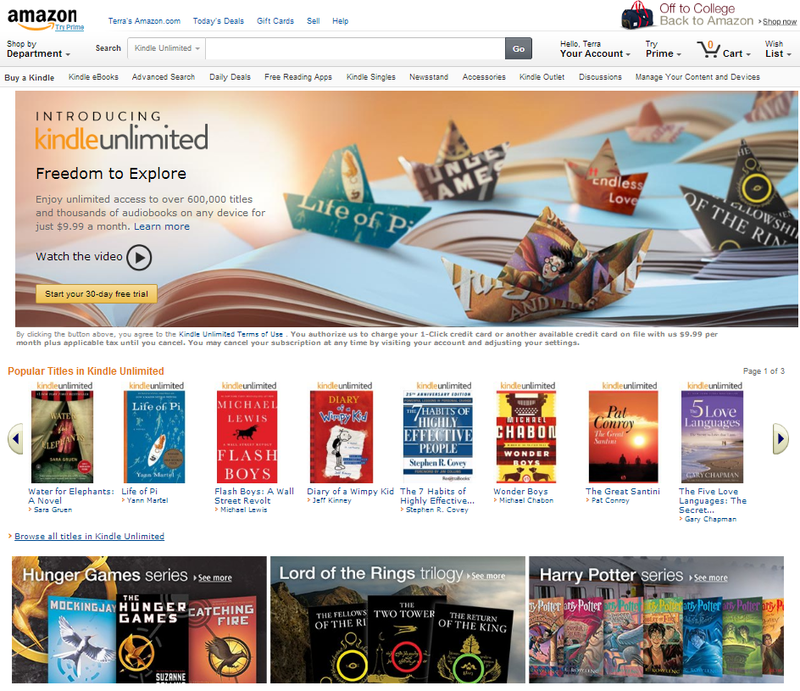 Price is essentially the same – based on Amazon’s information; Kindle Unlimited seem to have more selection. Like Oyster, Kindle Unlimited is offering a month free, but Oyster also offers a $15 referral bonus per person you sign up. More to come! Let us know if you try it out.